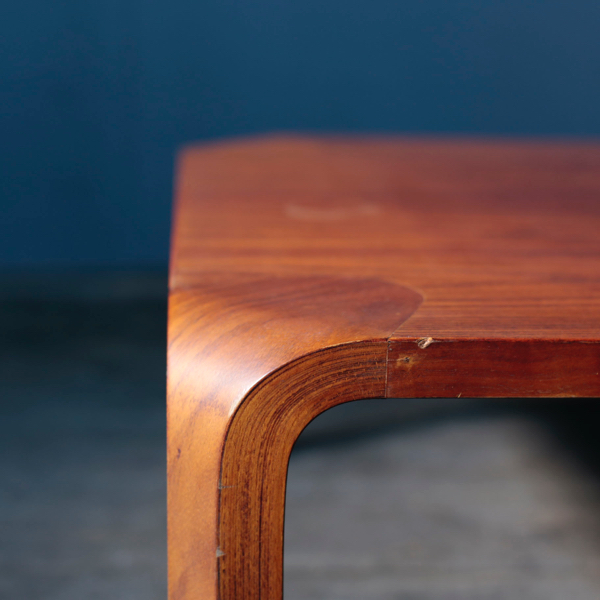 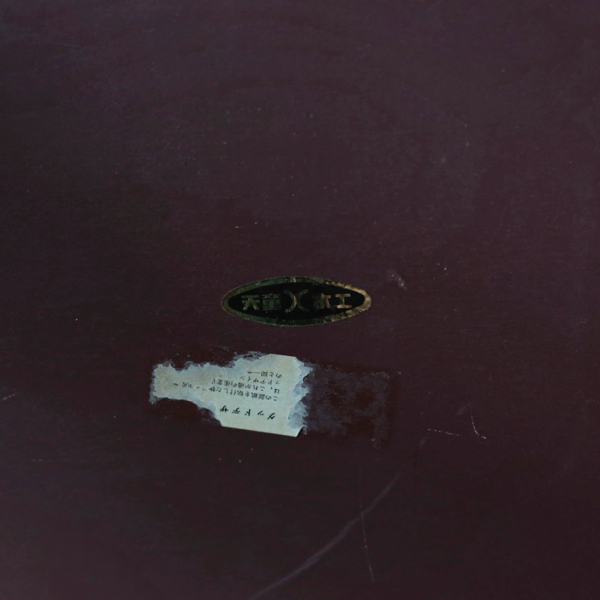 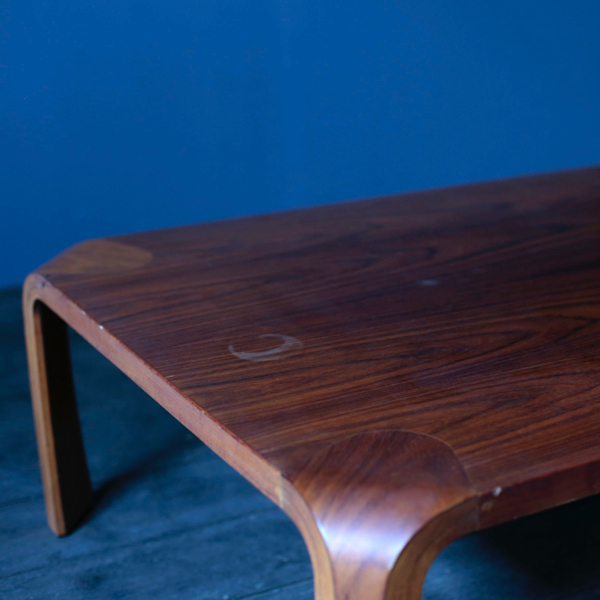 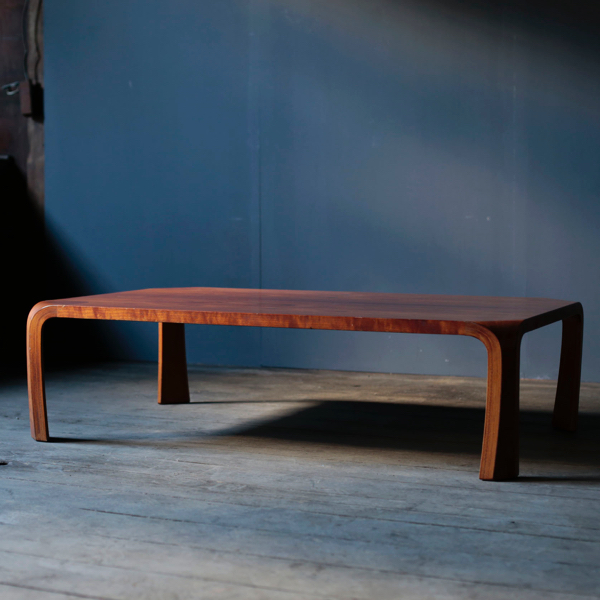 Stunning coffee table in bent rosewood, designed by Saburo Inui, manufactured by Tendo Mokko in Japan in the 1960s. 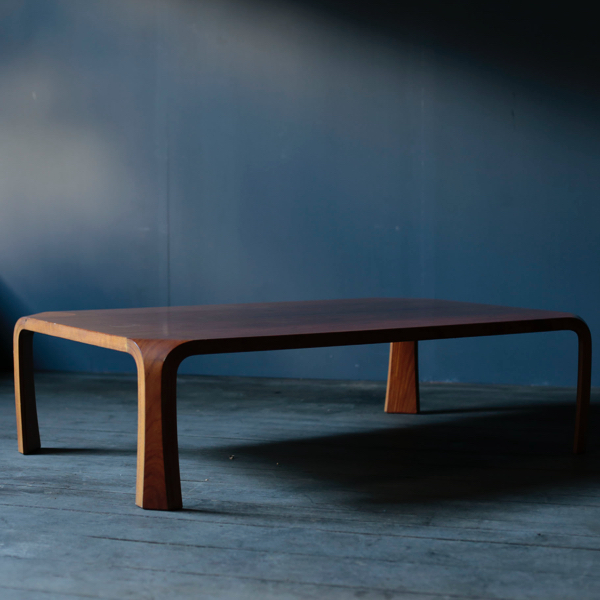 This beautiful table is a very representative piece for Japanese furniture thanks to its organic shape and efficient design. 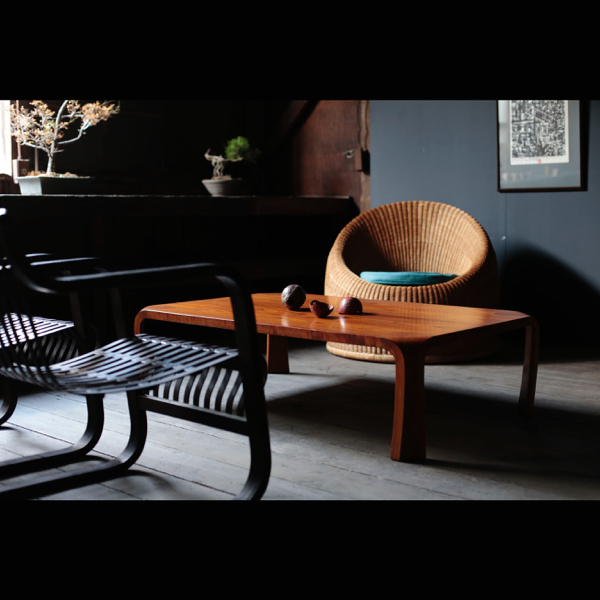 It is low, making it a perfect fit tot he Japanese interior that it’s originally designed for and where it is even used as a dining table.